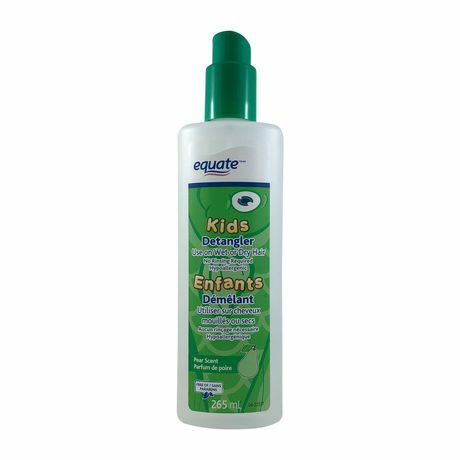 Gently rid hair of tangles with Equate Kids Detangler in a great pear scent. 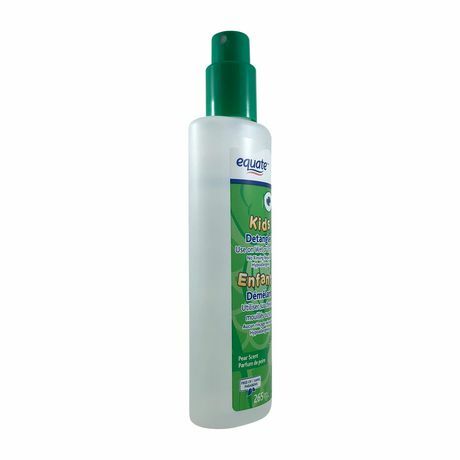 Perfect for children's hair, this spray can be used on wet or dry hair and doesn't require any rinsing. Plus, it's hypoallergenic and free from parabens, so the whole family can use it with confidence. 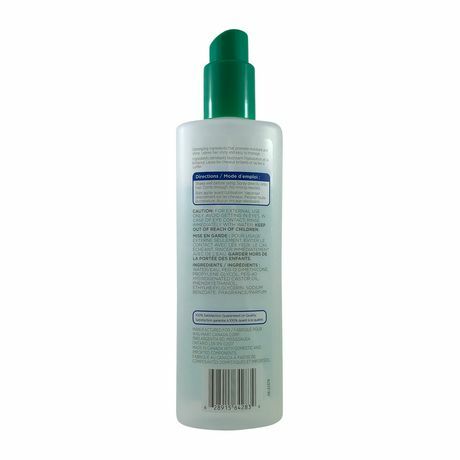 Water, PEG-12 Dimethicone, Propylene Glycol, PEG-40 Hydrogenated Castor Oil, Phenoxyethanol, Ethylhexylglycerin, Sodium Enzoate, Fragrance.